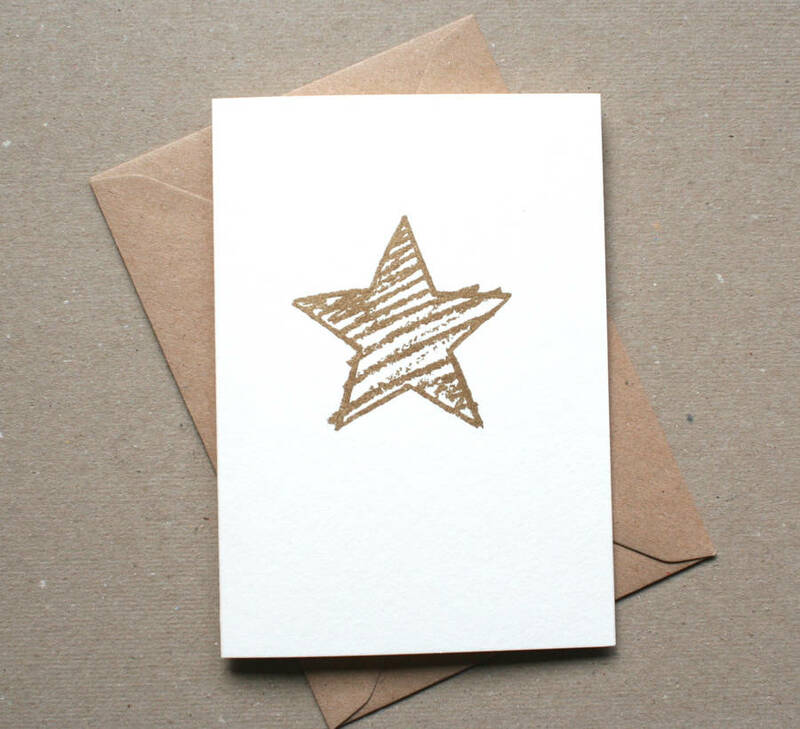 This screen printed 'Crayon Star' card with its golden twinkle is the perfect card to show somebody what a star they are. 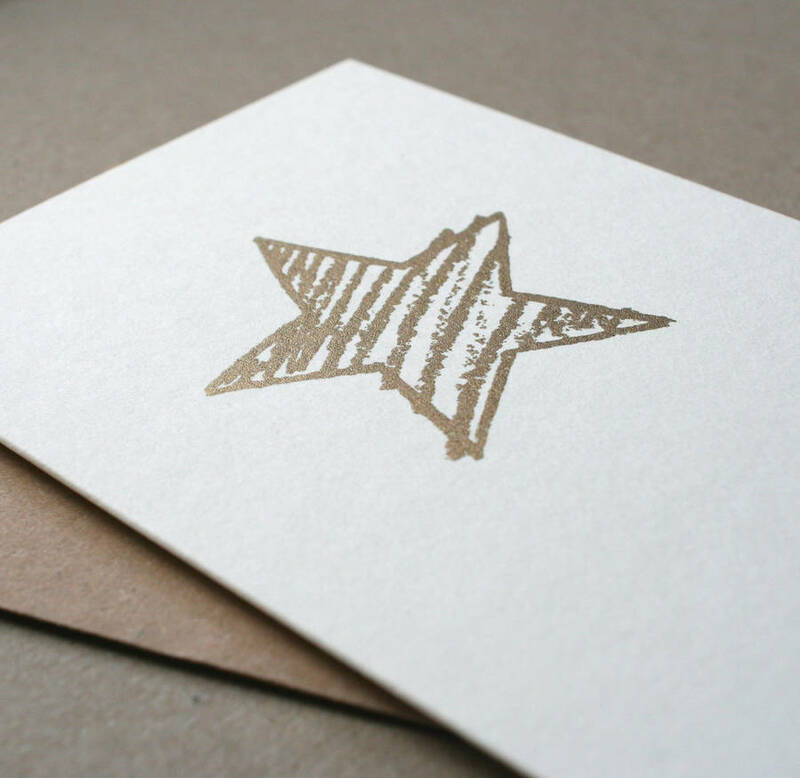 Whether it's a Congratulations card or a Thank You card or just a note to say hello, we all love a 'gold star'! 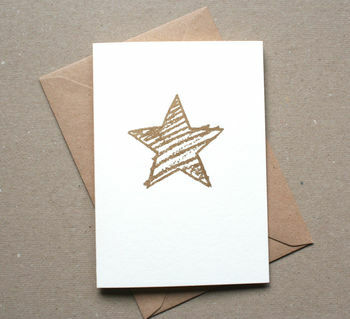 The playful scribble style and the metallic gold make it easy to send to anyone. Perfect for finishing exams, or saying thank you to a teacher! The cards are designed and printed 100% in house and by hand, made with love and care. The inside is blank for your own special message. Available as a single card or in a pack of six. The card is screen printed by hand with gold ink onto Natural coloured 350gsm Colorplan card. Due to the hand made nature of these cards, not every one is identical, each one may be slightly different from the photo. This product is dispatched to you by The Design Conspiracy.